I have figured out that my craving for cookies and carbs is never going to go away. Of course it doesn’t help that my wife baked our girls dozens of “healthy” chocolate chip cookies. The kind I really like too… CRUNCHY. Still today is the official end of week 1 of phase 3. I did spend the first 2-3 days at the 500 calorie threshold but now I am up around 1000-1200. I have had steak, pork chops, chicken, scallops as my proteins. Variety of vegetables – onion, tomato, cucumber, banana peppers, bell peppers, pickles. Fruits are still apples, strawberries but have some pears and plums but haven’t eaten them yet. Largest increase in calories is coming from dressings (Caesar, oil/vinegar, maonaisse). It’s like 200-300 calories per day in dressing but as long as not from sugar and starch I am supposed to be Ok… Snacks are regular cheddar cheese as well as plain raw almonds. Controlling all portions to keep it in line. My weight is around my last injection weight of 247.5. Actually a bit lower still by a pound (246.6). Weighing every day. Drinking 3-4 litres of water. Total = just over 1000 calorie. I ate larger protein and a bit more snacks today so looking like I am going to have to go to 1500 calories now for week 2 of phase 3. Drinking lots of water helps. Not drinking any alcohol yet. It’s not getting any easier but I am staying focused. If the scale stays constant at the new calorie increase I will be happy. 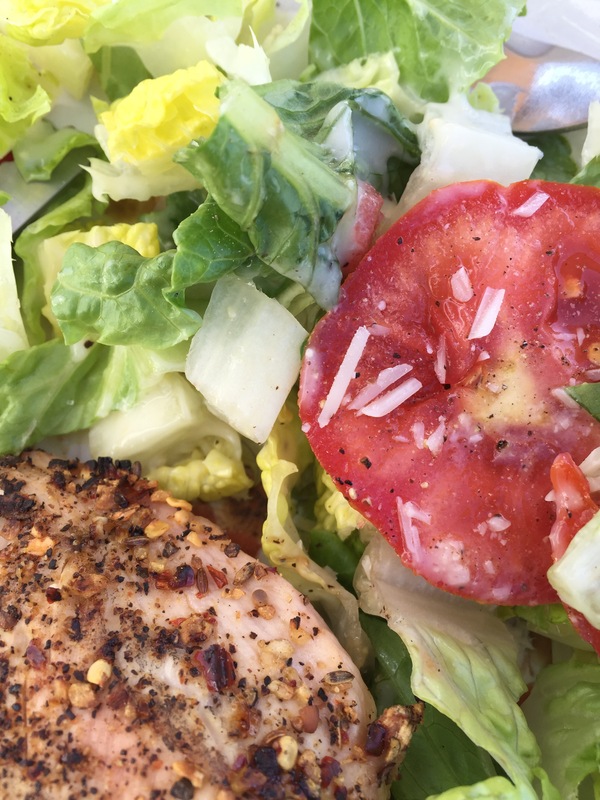 Chicken Caesar salad with parm cheese and no croutons – another great option for phase 3 hCG diet. « hCG diet phase 3 start. First day meal plan.